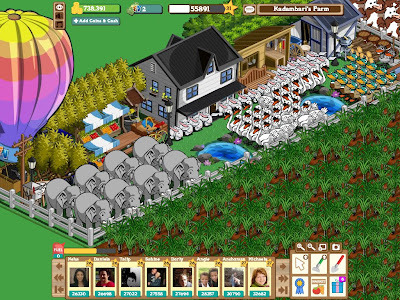 Home » FarmVille » Space Management! You never really know what a new day might bring to you. When we went to bed Monday night, we had no clue about the "SURPRISE" that would be waiting for us on Facebook the next morning! 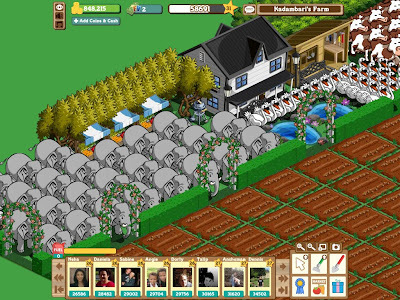 These cute little baby elephants were introduced as gifts for our Farm Neighbors by Zynga, the developers of FarmVille. They have apparently made it their mission to give us everything except more land! And recently, they have taken to torturing us by introducing all bulky stuff -- first the gigantic hot-air balloons, and now these baby elephants, which will probably grow even bigger, as they step into "adulthood"! I had no idea getting rid of the whitewash fences could recover such a lot of space for more productive uses! Killu sound nice but so many baby elephants in a farm :D....next is what.... something bigger or what !!! Give my luv to killu! Lol..i have 91 gifts pending...just cant get used to farmville with this stupid lappy! U sure seem hooked onto the game!! !......now that I'm free...mebbe I might give this game a try!!! Still obsessed on Farmville, huh? simple and captivating. has sort of innocence to it. Apologies for replying to your comments so late... life is hectic at the moment! Add me as your friend na... my FB profile link is given in the side bar. LOL! Real life mein bhi land availability ki hi prb hai! No idea dude! As hey say... hope for the best but prepare for the worst! Great to c u back buddy! :D In case u DO decide to get hooked on to this game, plz add me as ur FB friend. Thanks pal. Your first visit here, isn't it? hey. 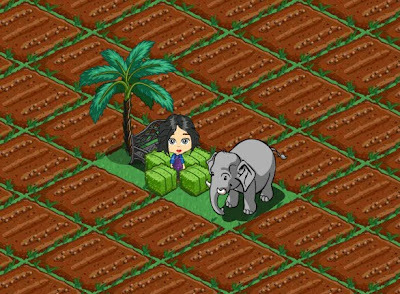 i love farmville as well... and these elephants are just soo cute! Lol! After this post i feel like playing this game more... At present i am into pet society and restaurant city. have u played them?